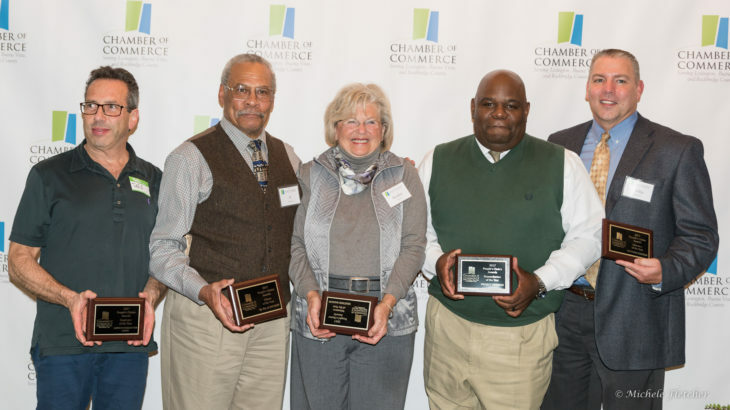 The Quality of Life Committee of the Chamber of Commerce serving Lexington, Buena Vista and Rockbridge County is currently accepting nominations for the 20th Annual People’s Choice Awards. In addition to recommendations put forth by the committee, which is comprised of representatives of local civic organizations and Chamber members, community input is also an important part of the process. The awards are given in five categories – Volunteer of the Year, Humanitarian of the Year, Educator of the Year, Employer of the Year and Citizen of the Year. Nominations may be submitted by emailing info@lexrockchamber.com. A summary of the reasons for your nomination must be included – tell us about the individual or group and explain why you believe they are qualified for the award. The deadline to submit nominations is August 17. Voting will begin at the Rockbridge Community Festival in Lexington on Saturday, August 25, and will continue through mid-October. The awards will be presented in conjunction with the Chamber’s Annual Meeting on November 7. We hope you will join us in honoring those that make Rockbridge County such a wonderful place to live and work. Pictured above are the 2017 People’s Choice Award winners.